إذا كنت تبحث عن فندق بموقع جيد في ملبورن، فقد وجدت ضالتك في فندق ترافل أودج ساوث بانك . يمكن من هنا للضيوف الاستمتاع بسهولة الوصول إلى كل ما تقدمه هذه المدينة النابضة بالحياة. يشكل هذا الفندق ملاذاَ مريحاً للاسترخاء ويمنح زواره فرصة للاستجمام والتجدد، وهو يقع على بعد خطوات من المعالم السياحية الكثيرة للمدينة كمثل: آي بي ام, اوريكا تاور, شوان سبا. يعرف TFE Hotels بالمستوى الراقي لخدماته ولباقة موظفيه، وهذا ما ستجده في فندق ترافل أودج ساوث بانك. يمكن لضيوف الفندق الاستمتاع بالميزات التالية على أرض الفندق: مجهز لذوي الإحتياجات الخاصة, مكتب الاستقبال على مدار الساعة, مرافق مخصصة لذوي الاحتياجات الخاصة, تسجيل وصول/خروج سريع, تخزين الأمتعة . بالإضافة لهذا,تتضمن كل غرف الضيوف مجموعة واسعة من وسائل الراحة . بعض الغرف توفر حتى خزنة, إغلاق, شاي مجاني, جهاز ضبط الرطوبة, غرفة ملابس لإرضاء أكثر الضيوف تطلباً. كما أن مجموعة الخدمات الواسعة الموجودة في الفندق لضمان راحتك تترك لك الكثير من الخيارات لقضاء وقتك أثناء فترة إقامتك. استمتع بخدمات لا يعلى عليها وعنوان ذو اعتبار في فندق ترافل أودج ساوث بانك . يقع مكان انتظار السيارات في موقف سيارات ساوثجيت الذي يقع في الجهة المقابلة لترافيلودجي ساوث بانك بفندق لأنجام. يُرجى إبراز تذكرتك لمكتب استقبال ترافيلودجي ساوث بانك من أجل التحقق من صحة البيانات والحصول على سعر مخفض. This place is a great place to rest your head whilst in Melbourne. It is in a great location, right next to the Eureka tours and 30 metres to Southbank. The rooms are adequate and clean. Staff are lovely. Generally good, if somewhat bland. Little things like the fact that the kettle actually fitted under the tap were good. But.... bathroom was moldy, and looked as if the problem was not new. Exhaust fan did not appear to be working. Aircon could also do with a service. loved the location close to so many restaurants and bars. We caught the skybus to Eureaka towers and the the hotel is just a 5 minute walk away around the corner. Staff at check in were excellent and helpful. Room good size and comfortable beds with great pillows. We would stay here again as close to everything and great walking options. Good business hotel, with lots of cafes, restaurants close by and so easy to exit the city. Easy walk to CBD also. Location was great as we were there for the Australian open, hotel staff appeared helpful but were not. We bought 6 bottles of beer at the reception and was told our room has bottle opener. Went back to our room but couldn’t find it so rang up the reception to bring us one. Staff said she will bring it up to our room. 3 hours pass and nothing, no reply no bottle opener. Next day we went to reception and asked for it again, and was told they will find it again and bring to our room. 2 hours passed and nothing so we gave up and went downstairs with the bottles of beer wanting a refund. The staff took the bottles inside their office and came out with the bottles opened. Poor service and response! Reasonable prices in location which is close to the CBD area (free tram zone), just cross the river with nice view in few minutes. Location is quiet compared to CBD and has shopping malls, restaurants and food courts around. 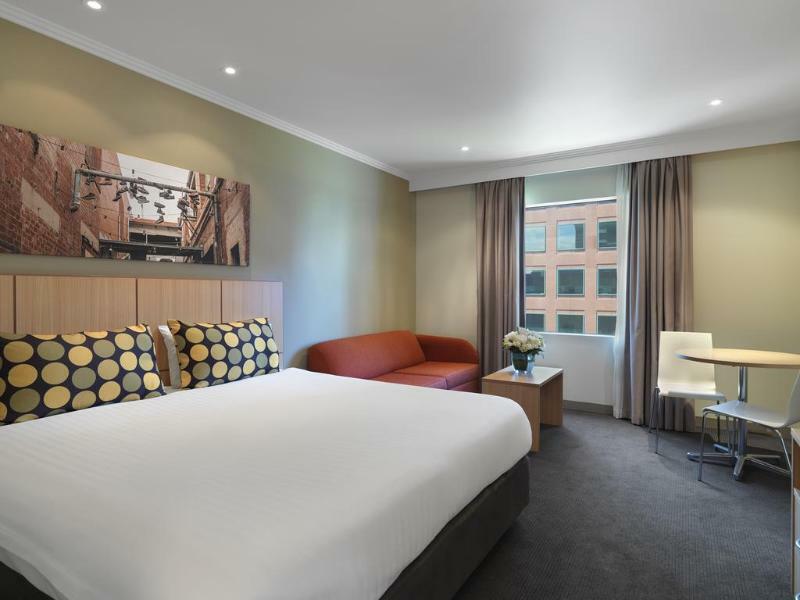 For a business/short stay hotel on the Melbourne Southbank this is ideal. Well equipped room, comfortable bed and free Wi-Fi offers - all a traveller needs. Not 5 star and stunning but perfectly adequate for the price. Only gripe was the bathroom light was rather dim, not ideal for an early morning shave. Location was good, very close to Yarra River and bridge to train station. Room was spacious, and also provide microwave (even though we didn't use it). Staff were good. Only problem was the air-con/heather doesn't function well, feel quite cold at night. Stayed here for 2 nights while doing Run Melbourne. This hotel is along Southbank, was only a 2 min walk to the start of the race and was kept very clean. Would definitely recommend for people who don't want to fork out $400 a night to stay at Crown! 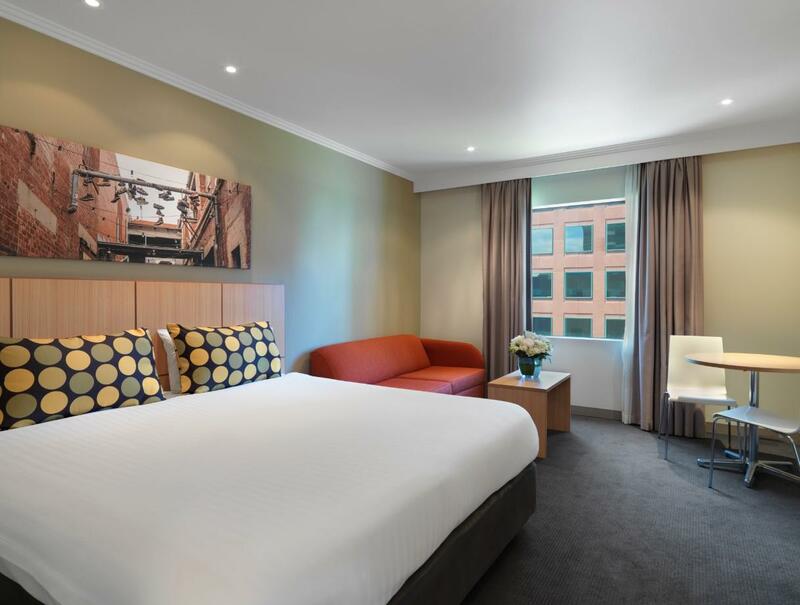 great location-walking distance to the riverbank restaurants and cafe/ train.with free wifi and self laundry facility.excellent customer service received from the male trainee Dona who checked us in .strongly recommends this hotel and will stay here if we are back in Melbourne. We are not sure whether short sheeting the bed is part of the fun staying at the Travelodge !! but we were happy with the quiet location, not much traffic when crossing the street, easy access to Evan Walker Bridge across to city, coffee takeaway out the front in the mornings !! 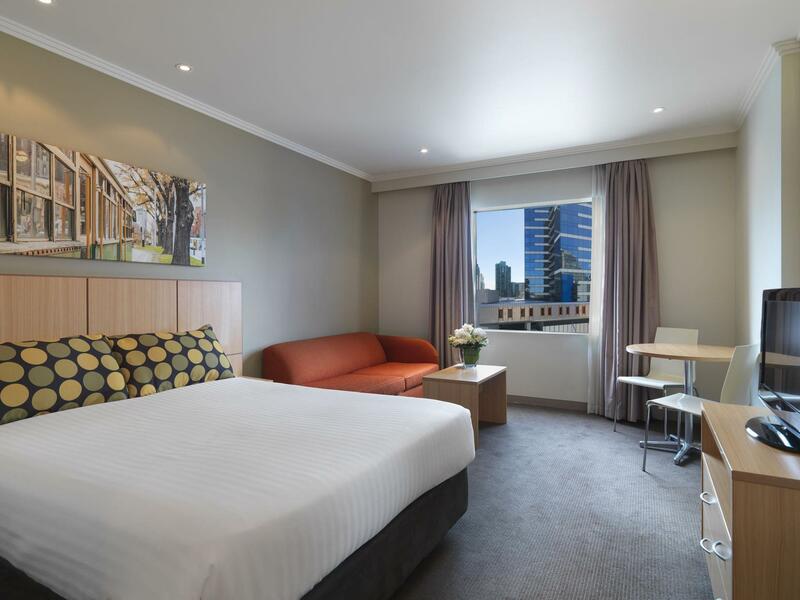 This hotel located in South Bank area, very good location, you can walk to Federation Square (where there is tourism information office) in 15 min and also reach to free tram and big station (Flinder station). Hotel is basic, but services from the staff was excellent (quick services and able to answer your questions / related to tourism). I absolutely will stay here again! 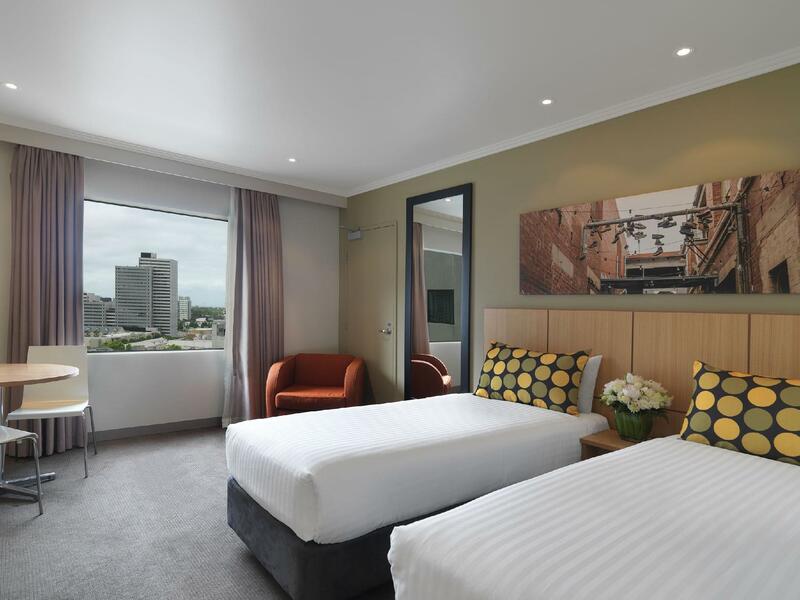 Travelodge Southbank offers comfortable rooms, clean and quiet, in a good location. Take the pedestrian bridge to Flinters Street Station, and in a few minutes you're in the midst of the action. Or stroll along the Riverside Quay, and sample some of the restaurant fares along the quay. The internet access has been improved since I was there last time. The threat of a $3000 fine in case of misuse of the microwave is, however, just as annoying as ever. The location is excellent. The aircon is noisy and only marginally effective. For the price this is what one normally expect. This hotel really is a great hotel. It is basic, but comfortable. 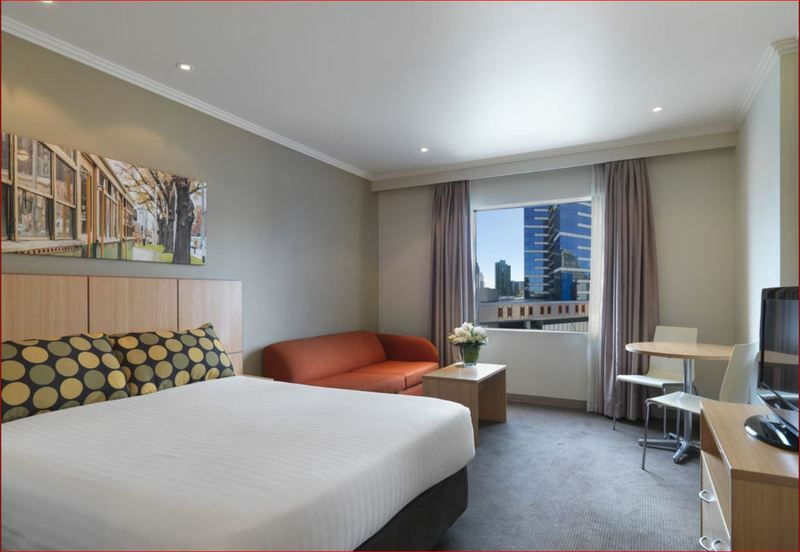 It is right near Southbank (50 metres) and across the road from the Langham hotel and right next to Eureka Towers. 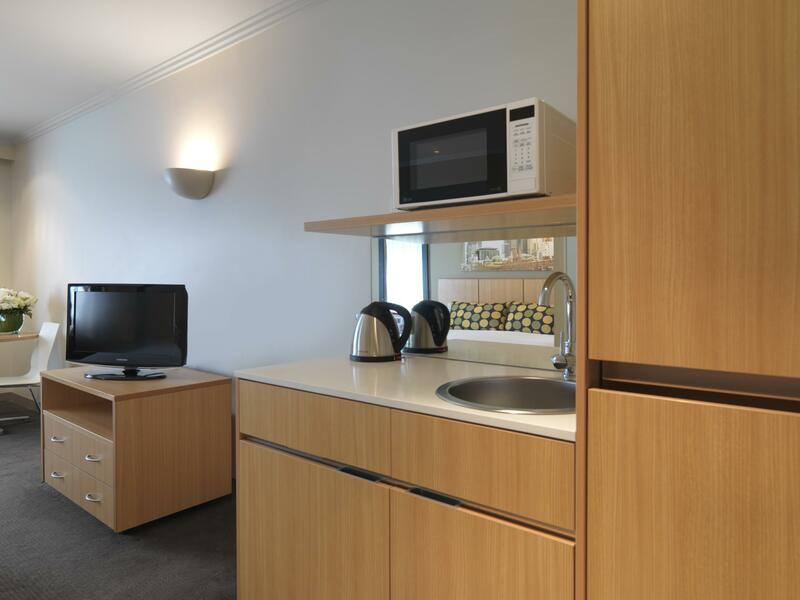 The rooms are equipped with a bar fridge, kettle, microwave, and kitchen sink. There is an iron, hairdryer, and speaker for your iphone. The hotel is in a fantastic location and there are plenty of restaurants a stones-throw away. The hotel has vending machines with snacks and icecreams, and they sell beverages for you to have in your room. There is also a laundry where you are able to wash and dry your own clothes. The staff are very friendly and very accommodating to any request. 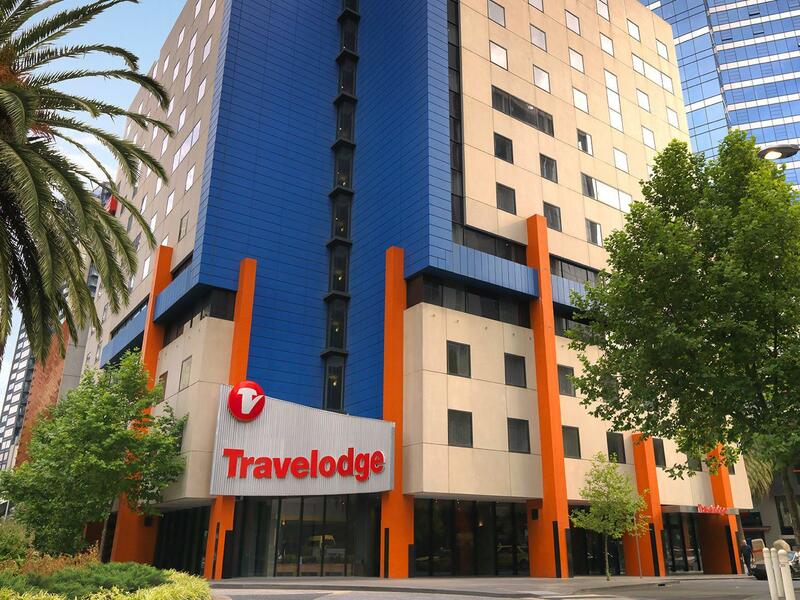 For the very reasonable price, this is a must-stay hotel when visiting Melbourne.